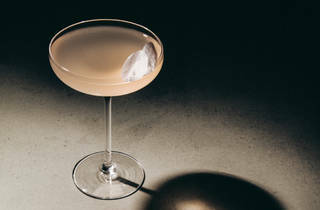 Edgy drinking in Dalston from master mixologist Tony Conigliaro. ‘Would you like a wish?’ asked our waiter, with a grin. 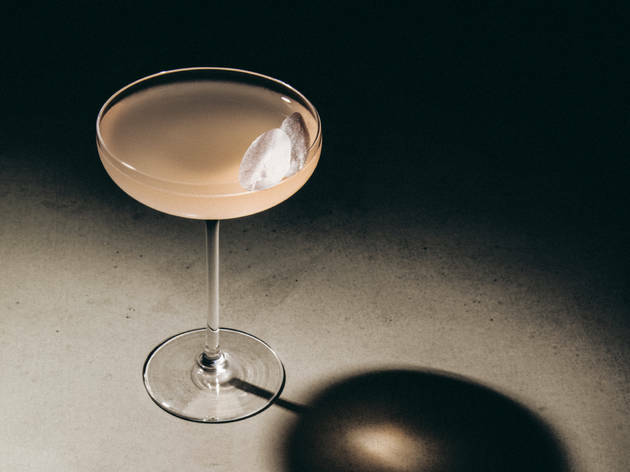 I’d have preferred a drink – Untitled is London mixology master Tony Conigliaro’s new bar, and I was raring to go on the menu of original cocktails. Instead, I was brought a rose-petal shaped piece of film on a sort-of petri dish, and told to eat it for palate-cleansing effect. It turned into a tomatoey paste in my mouth – a hint at the wizardry to follow. 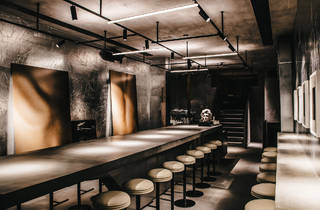 The bar is modelled on Andy Warhol’s Factory: a sterile, minimal setting with silver walls and swathes of grey concrete. But as more bodies join our communal table, things soon warm up. There’s no playing it down: the drinks are works of art. There’s no bar, but rather a couple of work stations where young staff prepare pre-batched concoctions delivered daily from Conigliaro’s nearby lab, the Drink Factory. The menu reads like a Holland & Barrett shopping list: the Sicily is made from ‘citrus, verbena, orange blossom’. 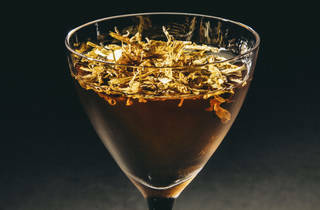 Little bits of dried African marigold leaf tickle your nose as you sip, enhancing the tobacco notes in this bitter, vodka-based drink. The Waif was stunning, effervescently pairing rhubarb and rose in a beautiful coupe glass. 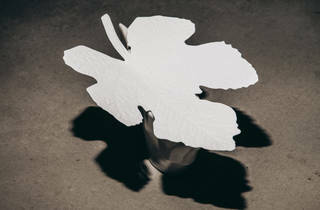 The yoghurty Ninfeo arrived in a fanny-shaped receptacle, a paper fig leaf perched on top for dignity. Is Conigliaro calling himself the Warhol of booze? I don’t think Untitled is that up itself. But with cocktails like this, he’d be justified. I thoroughly enjoyed this experience from start to finish. This place is all about understated detail rather than gimmicky or over-themed like a lot of new venues in London fighting for attention. The menu, decor and ambience are quite obviously born out of so much passion, talent and hard work and the staff are oozing with pride and are knowledgable, attentive and friendly (even when confronted with a variety of dietary requirements) it is deceivingly spacious for a kingsland road shop front with two dining/bar spaces and a large outdoor area with an illuminated full moon. The food was the winner though - I had a salmon dish, dirty rice and the herb salad with crispy kale that melted in the mouth! No need to travel halfway around the world sample a bit of Japanese Zen. It's right here in Dalston at Untitled. Walk through the doors and you'll discover a hip restaurant with cool interiors. Head to the back and you'd also discover a Japanese zen garden complete with a moon (best seen at night!). The food is Japanese but with a twist a fusion of some sorts and the cocktails are innovative. 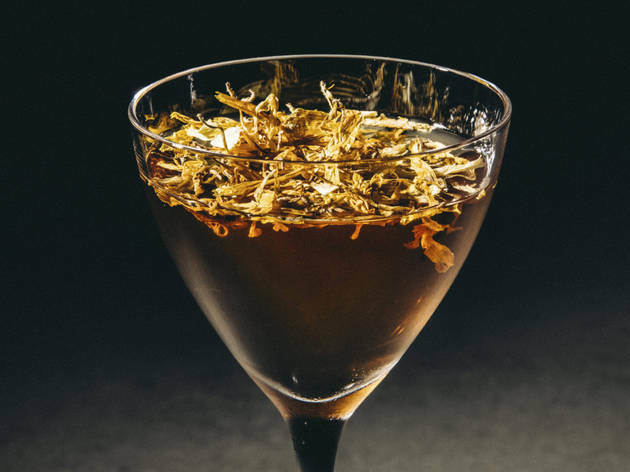 Have you ever tried a cocktail that tasted always inspired by a violin? Definitely worth checking out with friends and especially when it's summer and warm outside to take advantage of that lovely Japanese Zen Garden. I had a solid, early dinner experience here last night. The waiters are very attentive, which I appreciate, and the revised menu is very veg-friendly. I got the fermented radish with shisho for starters as well as the herb salad with marinated tofu, kale and dried fig. The former is presented quite lovely, with a good amount of bright pink radishes sprinkled with tiny purple leaves. However, this was the blandest of the three dishes I ended up getting. The herb salad is a presented as a bowl of greens; so much so I was initially disappointed to not see the tofu and figs. But they are there, buried at the bottom. This dish was delicious: the tofu was marinated quite well and the crispy kale and sweet fig was an excellent flavour combination. I then got the aubergine with chamomile honey, not realizing it’s deep-fried as the menu doesn’t indicate this. I had it sent back, quite disappointed. But the next dish I got, the miso-baked root veg, made up for it. I had thought it would be root veg à la Sunday roast. Rather, the veg are mashed into a patty. A heavenly, miso patty. The glass of vinho verde I had complimented all my dishes. Well-done Untitled. Untitled Bar has garnered a bit of a reputation as being part edgy cocktail bar and part New York style art gallery. 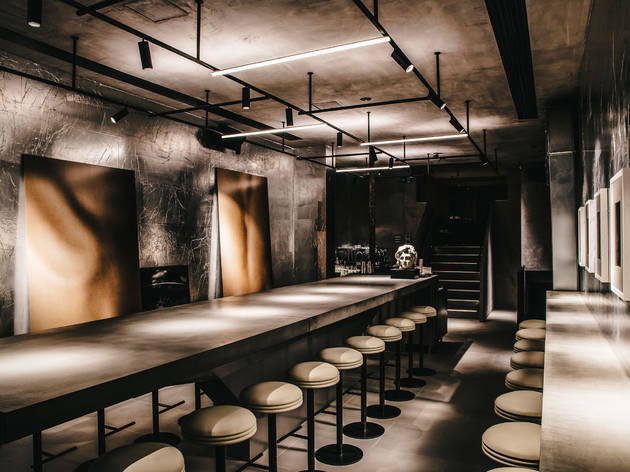 With its polished concrete interior, white stools, dramatic art exhibition lighting and contemporary art adorning the walls; I half expected to see runway models walking down the centrepiece table. The service here is friendly, but I feel they struggle with explaining the cocktail menu. My cocktail, named Waif (rhubarb, rose vodka, silver tea, champagne) was elegantly presented; but lacked any real flavour or floral notes as you would expect from the ingredients. My companion’s Amber cocktail (orange blossom vodka, merely, musk vodka, champagne) was a lot better; however I don’t feel that they were particularly memorable; and a comment from the staff suggested that some of the cocktails may have been pre-mixed. Japanese food is about freshness, seasonality, locality, harmony and our senses. There’s a journey and appreciation in the ingredients which then informs its presentation. The menu here is suppose to be Japanese inspired but really falls short on emulating any of the sophistication that is in basic Japanese food philosophy. There was a curious amount of flavourless gelatine used - we were really unsure what to make of the plastic “snack” we were given first. Alas, things did not improve. I found the short rib stringy, the mussels very salty, and the lamb brioche a little cold. With such a strong interior, they really need to put in a bit more into the refinement of their drinks and especially their food offering. I feel that they have tried to be a little too artistic - simple is best and they need to bring it back to basics. Make sure that hot dishes come out hot, the fried chicken should be crispy, and that dishes are seasonal and seasoned appropriately. Unfortunately we went to have second dinner afterwards. The space is great, it’s just a shame that the rest isn’t so slick. I used the Time Out offer to go and try it out, as it was on my doorstep. I took a friend who was visiting London to try it out. From the outside, it looks almost intimidating and very different from the rest of Dalston, but it's a good thing! As soon as we entered, the lovely bartenders greeted us and we decided to take seats at the big table on street level rather the smaller tables at the back. Only a few other people were there, mostly on dates. The music was nice and not too loud, so we could have a cosy chat whilst reading the intriguing cocktail menu with negative names like "waif" and "gonzo" which was a bit confusing maybe? I chose a "earthmother" with cocoa nib vodka, pure tea, lemon and egg white. It came in a really (really) small glass, but it was really (really) good! I really enjoyed it. We also chose 4 small plates. The lamb brioche was probably one of the best things I have eaten recently. On the other end, I do not recommend the shiso pickled pear as it's a very strange texture and it's not tasty at all. My friend really liked the aubergine, and we also got the edamame, maybe not the boldest choice. We stayed one hour, which is more than enough. It's a great place to try something new in the neighbourhood and for a quiet evening, I would not stay a whole night there though. New cocktail bar from Tony Conigliaro in Dalston. Unique drink concept, the bar brings bar culture to a new level. And they serve food too. Japanese inspired kitchen which is more than worth a try. We tried different drinks and had some food and everything was amazing. I love this place, so unique with inventive yet delicious drinks and very special food. No one is doing anything like this in town! Staff are super friendly and make great classic cocktails too. I'm going to go back and try brunch soon. 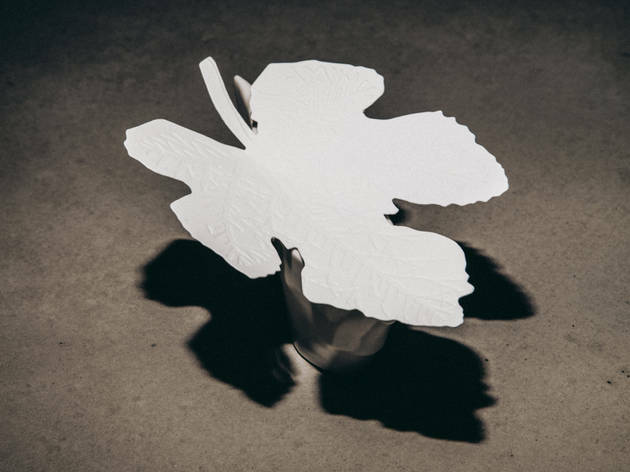 Like Lucy Loo commenting beneath, I am a big fan of 69 Colebrooke Row and was very excited about Tony's new venue. I had the Gonzo cocktail as well as the Snow which has clay and chalk in it. Was very interesting, but no less tasty. My friend had the Waif cocktail with rhubarb and champagne which was delicious. Some very incredible combinations there, as well as very knowledgable and friendly staff. This new bar seems to be gaining great reviews across the board but I'm really sorry to say... I just didn't get it... I am a huge fan of Tony Conigliaro's 69 Colebrooke Row - it's one of my fave spots in London - but this place doesn't work for me! I went with a group of six, so we were able to taste most of the drinks on the menu, and although we intended to stay all night, we only lasted an hour. The cocktails have names such as "clay" or "snow" and although some of them tasted alright... most of them were horrible! If you want to try something experimental... maybe give it a go... but if you want some tasty cocktails with friends I would find somewhere else to go. Outstanding bar. Like no other. A fresh style moving on the bar and drinks scene in one.